After online shopping, food is now being ordered online. People are very much likely to order online food because it is time saving. If you want to start your own online food delivery business, then you will have to complete some legal formalities. First, you have to register your business, then you have to register your business with Food Safety and Standards Authority of India (FSSAI). FSSAI registration is easy and simple you can apply for this online. This article talks about Partnership firm and FSSAI registration so you will understand its procedure. You can start you online food delivery business by making a Partnership Firm Registration. Partnership Firm is easiest form of business; you can start your online food delivery business with incorporation of partnership firm which requires minimum 2 people. There is no requirement of minimum capital contribution during incorporation of partnership firm. You can incorporate it by making a deed or agreement between partners. This deed or agreement will contain the details of business and details of partners. In agreement you have to mention description of business, shares of partners, contribution of partners, terms and conditions of partnership, and other details. And this agreement must be signed by the all partners and must be notarized. There is no need of registration of partnership firm, it is optional. If you want to register your partnership firm with registrar of firms, then you have to apply for registration under Registrar of Firms. Registrar of Firms is maintaining a register in which they write about partnership firm. Registration of Partnership Firm is costly and it is optional so you can skip it. Should not use expiry raw material and other standards. FSSAI registration is mandatory, without this you cannot carry a business related to food delivery. After obtaining FSSAI license you have to print your license number on food packaging so customers can see your FSSAI number. You can obtain this by filing of online application. You can also register your online food delivery business with Udyog Aadhar. Udyog Aadhar is 12 digit unique numbers which is issued by the Ministry of Micro, Small and Medium Enterprises. The process of obtaining Udyog Aadhar is easy, you can apply through online mode and it does not require any documents. After obtaining Udyog Aadhar number you will get many benefits like a loan on minimum interest rate or without interest rates, you will get a subsidy from the government and you can avail benefits from the government schemes. If you want to secure your brand name and logo then you should do your Trademark registration. Trademark will give you protection and if anyone infringes your rights then he will become liable under trademark law and he will give you compensation. Nowadays Trademark is important because anyone can steal your brand name and use it so you should register your brand name under Trademark laws. GST registration is mandatory for those whose turnover is more than 20 lakh rupees and in some states limit is 10 lakh rupees. In the case of failure of GST registration you will become liable under GST laws. After Successful GST registration, you will get a GST identification number. You have to mention GSTIN in your invoice. PAN card registration is also important for your business because without a PAN card you cannot open a current account in bank. PAN is mandatory for opening an account in bank. And also you can use this as a legal identification of proof. During the tax filing under Income Tax department you have to mention your PAN card details. You can apply for this online, it is issued by Income Tax Department of India. 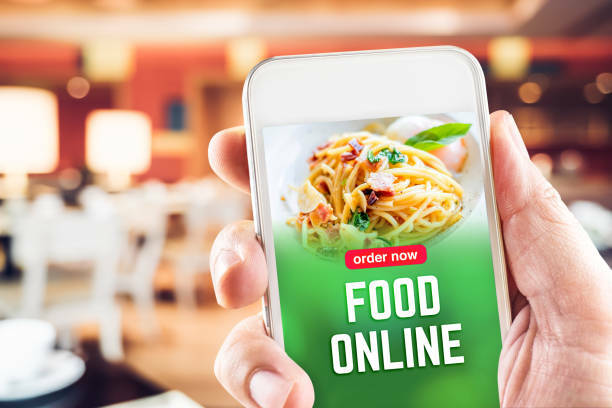 If you want to open a Online Food Delivery business, then you should register your business with above given registrations. FSSAI registration is mandatory for your food delivery business. Without FSSAI registration you cannot run your food delivery business. So if you want to open a food delivery business and don’t want to face any legal problems in the future then you should register your business with FSSAI. And also you can incorporate your business with the partnership firm which is the easiest form of business.